At a stage when many people begin winding down, Denise and Stuart MacPherson started over. Denise and Stuart are veteran Ottawa investors who didn't take the traditional path to where they are today. Having both faced divorce, which is never financially friendly, Denise and Stuart didn't have a lifetime of savings to put toward their retirement. They knew they needed to do something in order to maintain the lifestyle they wanted, and while they had been through tough times, there was a shining light at the end of the tunnel that offered the solution they were looking for: Real Estate. They started investing in real estate when they retired from their government jobs and have since bought multiple properties and expanded their network through their membership with REIN. Given their incredible success as real estate investors, it's hard to believe there was a time when Stuart says he scoffed at the idea of being a landlord! According to Denise, when they attended their first A.C.R.E. in 2010, she was blown away because it provided her the pieces she was missing. While she had already been learning things, she wasn't looking at real estate as a whole, and all of a sudden all the holes got filled and everything made sense. Denise and Stuart have now been to A.C.R.E. 10 times and keep coming back because they get something different out of it each time. While some of the basic components are the same, they say every A.C.R.E. is different and there are always new nuggets to pick up. Through the REIN community, Denise and Stuart have met many different people with varied backgrounds and experiences. They love helping people and have now grown their network to a point where they are able to teach others how to use registered funds to build their portfolios or improve their retirement plan - a topic they are incredibly knowledgeable about. 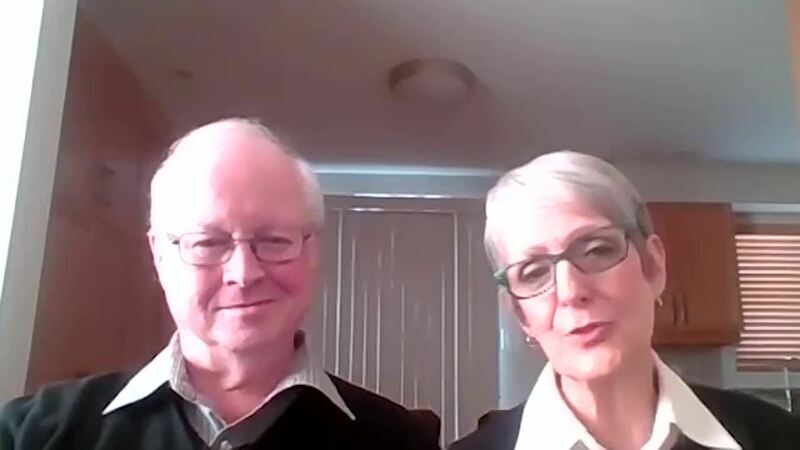 JG Francoeur recently chatted with Denise and Stuart on REIN's Facebook Live about their real estate investment journey. They also talked about how happiness is a choice and engaged in a passionate discussion about "door disease."